This orchestral interlude from the opera The Tale of Tsar Saltan closes Act III immediately after the magic Swan-Bird gives the Tsar's son instructions on how to change into an insect so that he can fly away to visit his father who believes him to be dead. The music is meant to signify the Prince's flight as a bumblebee. This arrangement for solo cello by David Geringas is great as an encore but also great for developing agility and speed. 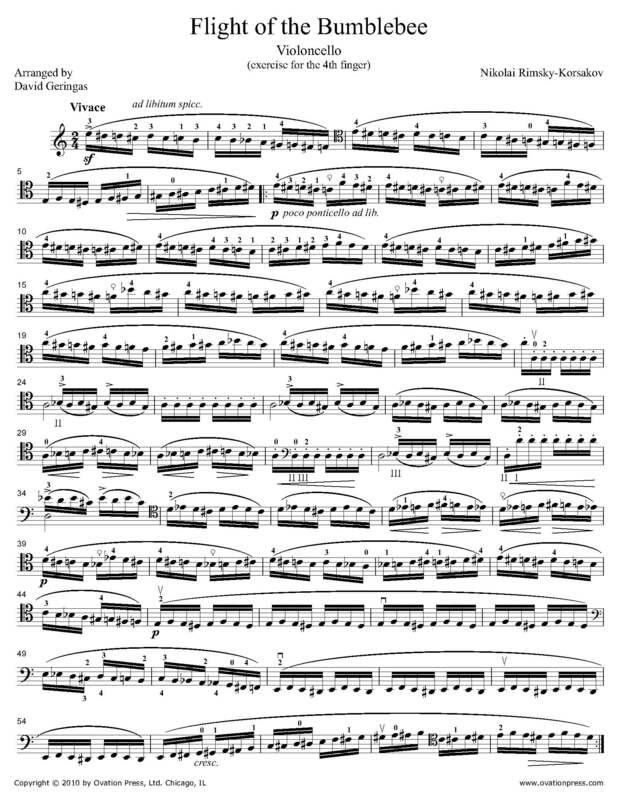 It is subtitled "Exercise for the 4th finger" and includes 6 small preparatory exercises. get into a crack a little distance away.